Once you are through with your hair removal experience soothing the skin is important. This will help to reduce the irritation and leave your skin feeling good. It is very important to chose the right epilator. We have created list of 5 best epilators to help you buy the best epilator that is just right for you. Braun Epilators will leave you with smooth and silky skin for weeks. 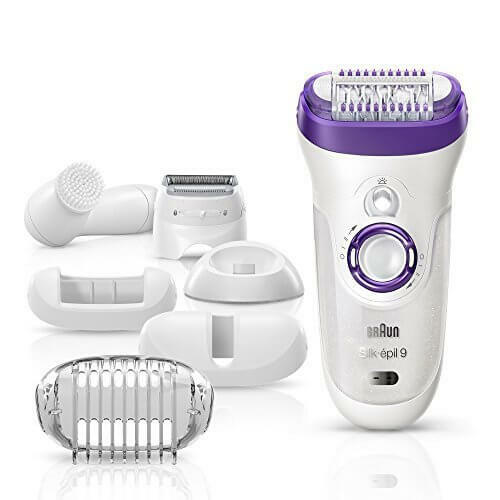 The Silk-épil 9 9-579 wet and dry epilator with revolutionary MicroGrip Tweezer Technology provides fast and very precise epilation removing hair four times shorter than wax does. This epilator comes with facial cleansing brush that provides six times better face cleaning than manual. This incarnation of Braun's popular epilation series boasts a wider head for fewer passes and less skin irritation. It has attachments for shaving and trimming around even the most sensitive areas. Featuring an extra wide head, the Philips Satin HP6576 removes more hair in just one shot. The epilation is smooth and thorough with minimum pain involved. All you need is a dry skin area you wish to process and you are good to go. The device can easily be handled and works well on the contours, thanks mainly to its ergonomic design. It can tackle your arms and legs as well as the more delicate regions like the armpits and bikini line. You can choose between two distinct speeds (gentle and efficient) depending on your requirement. 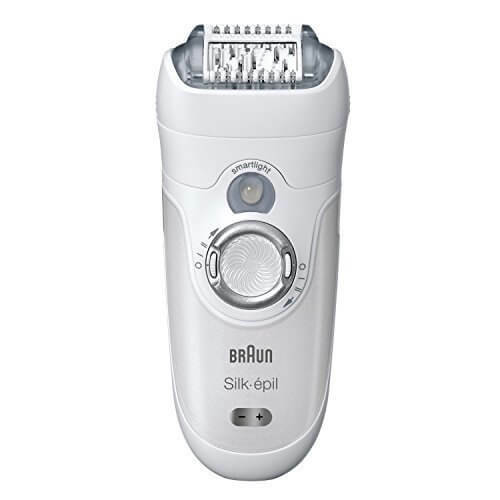 Braun Silk-épil SE7681 Wet and Dry Epilator, is so convenient to use that the very thought of epilating seems so effortless and easy. This amazing product incorporates a ‘Close Grip Technology’ and owing to this technique, pulling out hair from the roots is easier and comparatively less painful. This feature comprises about forty sharp tweezers which work by lifting the hair, loosening it and gently but swiftly pulling the hair right from the root. 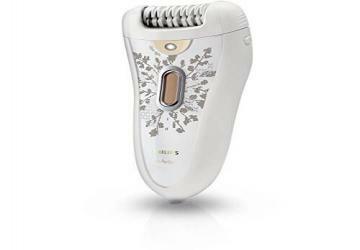 Even the shortest of the hair growth can be gotten rid of with this epilator. Emjoi brings two exclusive technologies in their Ap-18 Emagine. The sheer number of tweezers really attacks the hair, while anti-microbial silver ion helps keep skin healthy after epilation. You can use it on arms, legs, bikini line, underarms and even your face. There are 2 control speeds for modulated use. It is a gift for hygiene, thanks to a pioneering Silver Ion Technology, which bestows anti-microbial benefits. The Emjoi epilator can process out even growths as small as 5 millimeter. It should be used on dry skin. The Panasonic-ES-WD51-P is super quick and convenient hair removal package that can be used on wet and dry skin. What makes it more popular among the women is its complementary bikini trimmer and a shaver included along with the main instrument. These two complementary instruments essentially save you from the traumatic pain of waxing your hair in difficult to reach and sensitive areas of the body. Using an epilator can be a great way to remove unwanted hair from your body and face and keep it gone for anywhere from 4-6 weeks. Hair removal epilators pull the hair out at the root, leaving the skin smooth and silky. 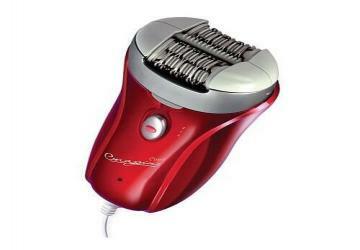 An epilator doesn’t cut hair like a traditional razor, it pulls the hair out at root level. This gives you silky smooth skin for nearly 4-6 weeks. Not many methods available can promise to deliver the best results like the epilator does. When buying an epilator, knowing how to use it is one of the most important factors that will ensure effectiveness. Almost each of these accessories normally comes with a manual that you can use in order to be able to achieve safe and quality results. The use of the machines can be sensitive especially if you are not used to it and trying to remove the hair from body parts that are not considered sensitive is important. Before trying to remove the epilator for hair removal, it is important to take a shower on the parts you target for hair removal. This makes it easy to get rid of the hair as the shower helps the pores to open up. When using the Wikipedia epilator to get rid of that unwanted hair from your body, the best thing is to avoid being in a hurry. It is always important to hold the skin tightly when moving the hair removal machine across it thus giving it some support and reducing the pain. The machine normally works without any need of exerting a lot of pressure on the part you intend to remove the hair and therefore it can be said to be easy and effective to use. The epilator traps the hair on its head as you move the machine is small circles riding the body of the unwanted hair right from the poles. Always soothe the skin after using the epilator! I personally love my Karmin epilator.